1. 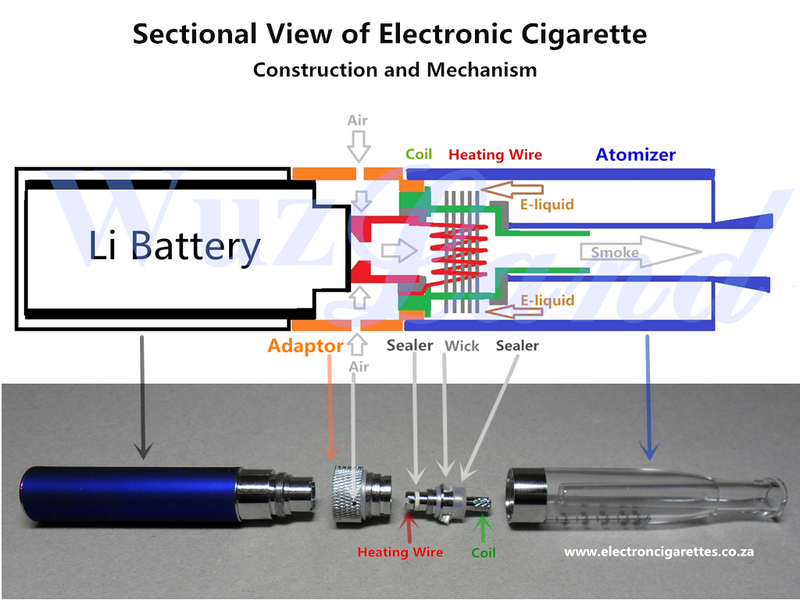 Wikipedia: Electronic Cigarette or e-cigarette, electronic vaping device is a battery-powered device which simulates tobacco smoking uses a heating element which vaporizes a liquid solution with or without nicotine. 1. Wikipedia: E-liquid or e-juice which produces vapor in electronic cigarettes, is a solution of propylene glycol (PG), vegetable glycerin (VG), and/or polyethylene glycol 400 (PEG400) mixed with concentrated flavors; and optionally, a variable concentration of nicotine or nicotine-free. It's very important to clean the liquid condensed from evaperation in battery joint, adaptor, atomizer tubes and mouthpiece, which could cause the blockage and taste changed. Cotton buts or rolled soft tissue can be used for cleaning. Switch off the battery while kept in the pocket or hand bag in case the switch button is pressed by other goods accidently. It is recommended to have the battery to be lower or discharged before new charging. 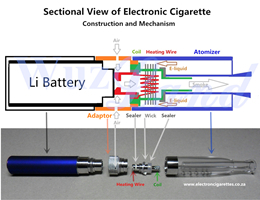 To store the battery if not smoking for a long time, fully charge the battery and switch off. This can prolong the life of battery. 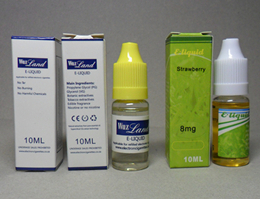 E-liquid must be kept at room tempreture, in dark or shady and cool place, under ventilated and dry condition. The bottle should be kept in the box and closed tightly while using, especially to the light smokers. In our products, the batteries and atomizers of most models can be matched for assembling. New parts are available for replacing the failure ones and upgrading. This does decrease the cost of smoking e-cigarettes and improve the after-sale services. In 2013, Afrasian Business started to introduce electronic cigarettes to South African and now has its own brand, Wuzland, of which products are made of selective manufacturers and approved by CE, RoSH, FCC or SGS, the international recognized QC institues. All our products are sold with warranty.